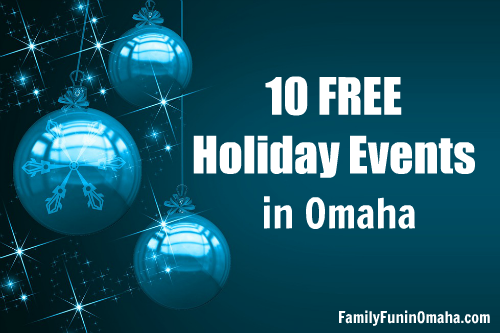 Omaha is FULL of fun Holiday Events – how do you pick which ones to go to? 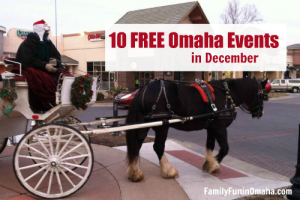 Be sure to SAVE THE DATE for these 10 FREE Events in Omaha this Holiday Season! Looking for more fun? 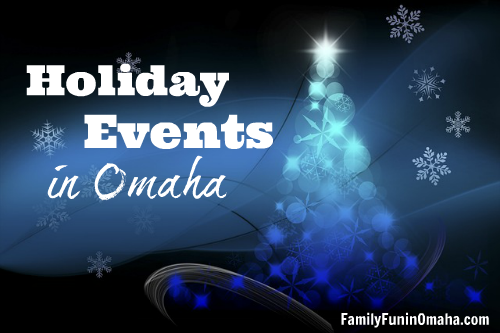 Find 100+ events in the big Holiday Events in Omaha Guide and FREE December Fun! It is always a good idea to verify with the business before visiting. And find many more here! Verify before visiting for early closings/closing for Holidays. The center closes at 3 p.m. on Thanksgiving Eve, Christmas Eve, and New Year’s Eve. The center will be closed on Thanksgiving Day and Christmas Day. Be sure to pick up a scavenger hunt and try to find all of the items! 2 Locations: Mormon Trail Center, 3215 State St., Omaha, and Kanesville Tabernacle, 222 E. Broadway, Council Bluffs, IA. Kick-off Event: Join in from 11:00 a.m. – 1:00 p.m. on Saturday, December 1st for the kick-off event, complete with special giveaways for the first 300 people and random prize drawings! Location: 3033 Hummel Park Rd., Omaha.